American Barns give you a bit of extra height and space. 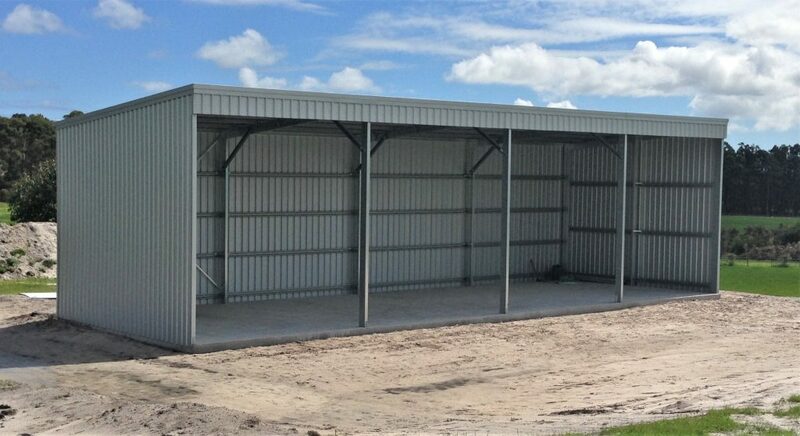 They are very practical for use as a multi-car garage, boat shed, workshop, horse stable, games room or any large storage solution. 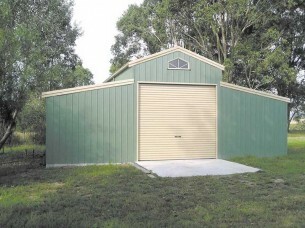 You could even turn one of the sides of your American barn into an open carport, or verandah. Widths start at 9 metres – both length and width can expand to suit your requirements. Heights for either the side lean-tos or middle section can also be changed to suit your needs. The standard roof pitch for American Barns is 22` but a mansard roof also looks great. You can easily personalise your barn with windows and glass sliding doors. We can supply fly screens and security screens or window locks. To take full advantage of the additional ceiling height, consider installing a mezzanine floor for use as storage or an additional workspace.